The Florida housing market is booming. Home buyer traffic and sales are climbing rapidly throughout the state, leading to increasing home and land prices. Land Prices are rising rapidly. Demand for land is the strongest in Orlando, where the large number of builders and developers in the region continue to bid up land prices. In some submarkets, land and finished lot prices have now surpassed peak levels. Most builders are opting to buy raw, unentitled land in Orlando just to gain a position and market share. Home Prices are rising rapidly. In markets like Orlando and Naples, new home prices are increasing approximately 1%-2% per month in many communities. Lotteries are back. We are projecting double-digit home price appreciation in many Florida markets for 2013. The Active Adult market is back. In Southwest Florida, builders are reporting a 20%-25% increase in traffic and sales over last year (which was a very good year!). Secondary and even tertiary submarkets in Southwest Florida are experiencing stronger demand, especially as prices rise in the “A” markets. Foreign buyers are helping the market. Foreign buyers are not limited to the condos in Miami anymore. 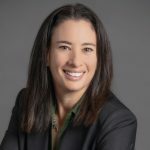 In Orlando, a large influx of foreign investors-typically paying all cash-have helped the market recover and are driving up demand and prices in the region. In one sales office I visited recently, there were three families buying homes at the same time-from Brazil, Germany, and China. Since Florida is a judicial foreclosure state, the time it takes for a foreclosure to occur is considerably longer. But the banks are slowly releasing the foreclosures, and the large number of investors in the state are buying them as quickly as possible. Despite the rise in home and land prices, it is still affordable to buy a home in Florida thanks to very low mortgage rates. 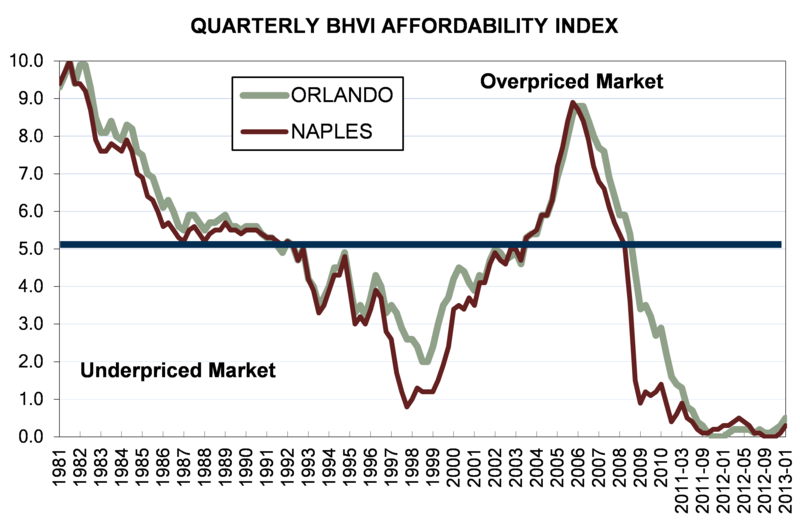 In Orlando and Naples-two markets experiencing strong home price appreciation-home affordability is still excellent. The chart below shows our Burns Affordability Index, which indicates that monthly payments in Orlando and Naples, as a percentage of median income, are the lowest they have been in the last 32 years. If you have any questions, please contact Lesley Deutch at (561) 998-5814 or by email.